Auto Electrician - Car Electrics Cannock. We specialise in electrical faults with your vehicle, we are a qualified auto electrical garage, ensuring that no matter what we complete the job from A to Z. We can work closely engine management issues, A-B-S faults, including repairs to ABS units.We can supply, Fit, service, recondition and repair engine parts like your Starter motors, Alternators and Wiring faults,faulty Dash Clusters. Air conditioning servicing and re-gassing,Including A/C faults Immobiliser and key programming Diagnostics carried out to identify genuine faults, no hidden costs, and genuine work carried out. 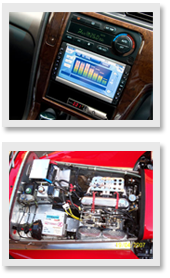 Car Electrics Ltd repaired our car electronics in great time and all working perfectly. I would not hesitate to recommend Car Electrics Ltd in future to any of my friends or family.